There was a boy in my fourth-grade class named Glenn who brazenly announced that he was faster than me. “No, you’re not, Glenn,” I assured him. We lined up at recess that day, surrounded by classmates. A friend yelled “go!” and we took off across the pavement. The first person to the equipment shed would win. Glenn got tripped up in a jump rope enroute. It really wasn’t fair. I turned around to gloat, still speeding away, and misjudged my distance to the shed. I turned around just in time to strike it full force with my face. It was a bloody incident, and I still have a chin scar to remember it by. Afterward, Glenn walked me to the nurse’s office to patch up my face. I sheepishly thanked him. I also assured him that I definitely would have won the race, even without the jump rope. Pride go-eth before the fall. Pride ran-eth me into a shed. Running has been the source of a lot of my life lessons. My misadventure at recess that day was definitely not the last one of its kind, but it was a solid, palpable strike to my hubris (and to my face). I swear I can still feel the reverberations in my chin. The idea that athletics can shape a person’s character is not a new one. Plato spoke of gymnastics as a propaedeutic to education. Along with poetry, athletics can help form a person to value the right things and to live a more well-ordered, disciplined life so that he is teachable at all. Furthermore, Aristotle said we learn by doing: “Men become builders by building and lyreplayers by playing the lyre; so too we become just by doing just acts, temperate by doing temperate acts, brave by doing brave acts” (Nicomachean Ethics II.2.4). If we want to become virtuous, we have to practice the virtues. Structurally, then, participating in a sport is helpful for character formation because it’s a domain in which we apply the logic of ‘practice.’ We wake up every day and repeatedly do the same things, with the set intention of improving. But again, this isn’t news. If you ask any parents these days why they cart their children off to sports practice multiple times per week, they will probably say something along the lines of wanting to show their children the value of hard work or to help them learn discipline. Unfortunately, I’m not sure it’s that easy. If all that character formation required were a spot on a little-league team, everybody would sign up their kids (and themselves). Furthermore, if all that character formation required were committed participation in a sport, we would expect the World Cup to be a bastion of virtue. It’s not. To be clear, I wholly agree that we are shaped through athletics. Still, I wonder whether we are being shaped in the right way. There is more than one shape in the world! There are circles and squares. I propose this is something we should think about—particularly as runners—because I often hear runners remark something to the effect of how our placing ourselves in difficult situations or ‘doing hard things’ is sufficient for building character. It’s not the repeatedly ‘doing hard things’ that develops a good character; it’s practicing being a certain type of person and acting from the right motivation during those hard things that helps cultivate virtue. Aristotle writes, “Again, the actions from or through which any virtue is produced are the same as those through which it also is destroyed—just as is the case with skill in the arts, for both the good harpers and the bad ones are produced by harping, and similarly with builders and all the other craftsmen: as you will become a good builder from building well, so you will become a bad one from building badly” (NE II.2.6). That is, it might be the case that every day, you get up and cover miles. But if your pacing is imprudent, your desires intemperate, your inclinations uncourageous, or your motivations awry, you are practicing unsavory qualities that very likely you will carry into the rest of your life. There is a local track where I run with students before sunrise. Certain sections are lit by nearby street lamps, while others are enshrouded in darkness. It’s so dark we can’t see our hands or one another, but we run shoulder-to-shoulder like a Homeric phalanx, passing alternately between blackness and light, and we get our work done. We have a confidence forged in darkness, in the invisible hours of morning. Running involves a lot of passing in and out of darkness. Racing is visible. People might come watch you. They might clap. But a lot of this sport is hidden from view. We run in the early mornings when people are sleeping, and many of the miles are solitary. We stretch and lift on our own initiative, and if we surge during a run, rather than ease off the gas, we are the only ones who will ever know that. Running is difficult, and we encounter that difficulty on a daily basis. It’s how we handle that difficulty that determines the sort of character we develop over time. 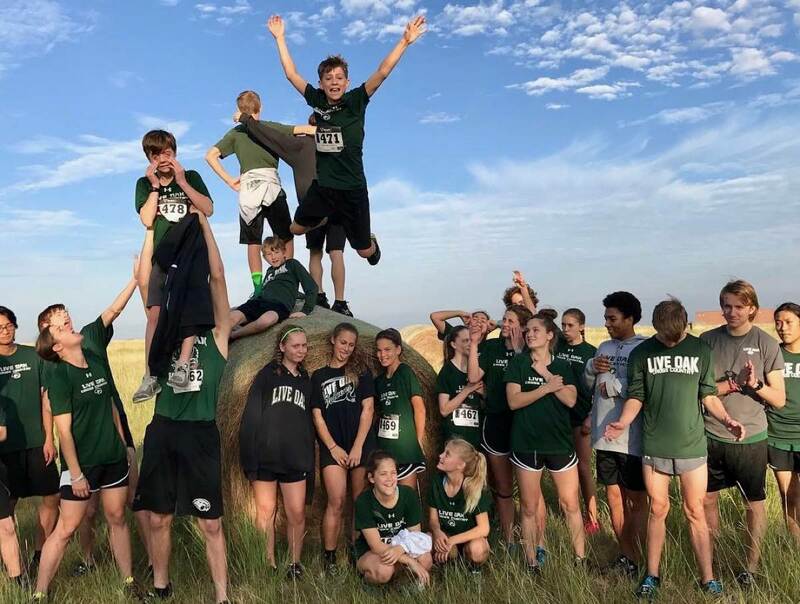 For the past six years, I’ve coached a middle-school and high-school distance team. As a coach, I’m a bit out of my element, to be honest. I am shy, and I don’t like whistles or clapping. But I do love mentoring, and I love virtue formation. I appreciate the opportunity running practice provides to be shaped in accordance with good character (knowing fully well that we can develop bad character, too). On our team, we use the language of the virtues to talk through our process goals, and we experience how difficult it is to practice being the people of good character we want to be. We know prudent runners stretch on their own, integrity means we run to the top of the hill whether or not anyone else is watching, and joy is something chosen irrespective of difficulties. Furthermore, it’s one thing to be told the definition of perseverance while sitting comfortably in a classroom. It’s another thing to be running along struggling and wanting to quit. If a person comes alongside you as you struggle and says, “Perseverance means remaining under a burden. I don’t need you to do anything different; I just need you to stay,” then you feel what it means to persevere. You feel it in your lungs and in your legs. You encounter it personally and can practice it. This is a fruitful way of approaching athletics—to apply virtue concepts to our practice so that we can aim to be shaped in the right way. We don’t want to experience hard things for their own sake, but rather use those hard things to equip us to be the people of good character we’d like to become outside of running. As a trail runner, I’ve practiced the wrong things over the years—timidity, imprudence, and anxiety. Right now, I’m working on my courage. This means I am prudentially navigating when is the right time to press in races and in practice so that I am neither reckless nor cowardly, but a mean between the two. Running is a great medium for virtue development. My suggestion is to think critically about your habits of mind while you run on a daily basis to make sure you are practicing the right things. Because, if you’re like me, you probably need more thoughtful character practice, lest pride run-eth you into a shed. Do you take time to consider the space your mind occupies while you run? If so, what do you find yourself thinking about? Have you found yourself to be thinking or feeling unhealthy things while running? What did you learn from identifying those? Do you think you (mostly) run for ‘virtuous’ reasons? Sabrina Little putting in the miles. All photos courtesy of Sabrina Little. 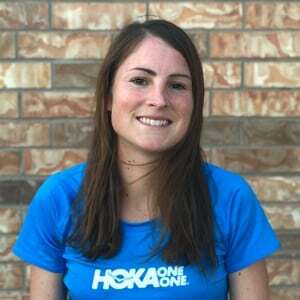 Sabrina is a great addition to the iRunFar team! Looking forward to reading more of her writing! Thanks so much, Randy! I appreciate it. This is one of the best pieces I’ve ever read on IRF. On the level of George Sheehan. Thanks for adding such a thoughtful and philosophical voice! I can’t wait to read more. Thank you, Jason! I appreciate it. Thank, Sabrina. Looking forward to more. Thank you for this piece — one of the best articles (and bio taglines) I’ve read in a while. A great perspective to be sharing with young and old runners, alike. ALWAYS interested in what Sabrina has to write. There is depth and sincerity. Truth wrapped in wit and humor. Brilliant. I am a huge Sabrina fan. 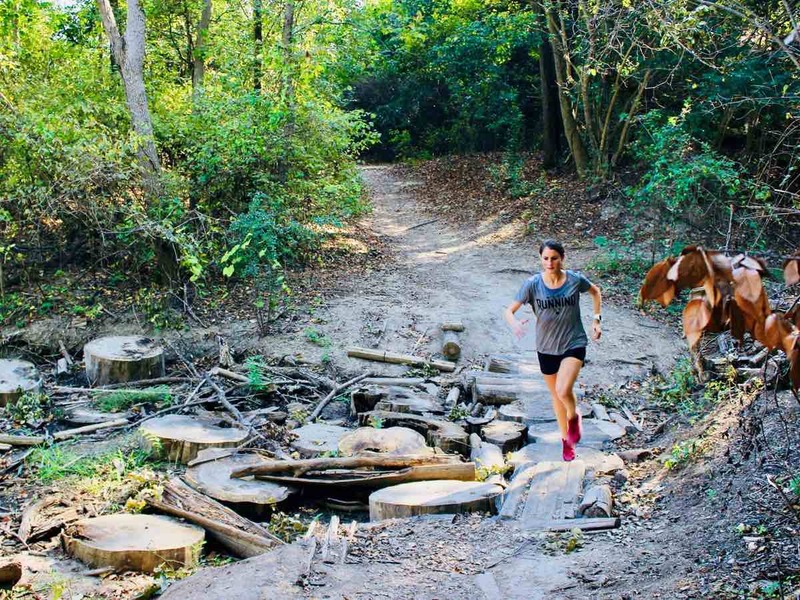 She’s an incredible runner, writer and person. Excellent addition to this site. Thank you for forcing me to be more deliberately thoughtful in my motivations for running. I look forward to your next piece! I’m definitely a podcast runner these days and finding myself drifting off with thoughts inspired by questions or discussions happening in my ears. My unhealthy thoughts would revolve around the food I will be eating post run. I don’t have my 20’s and 30’s as a runner to worry about as I was to busy being a sloth. Does making sure your gel packets end up in the bin make you virtuous? Does crossing at a red light make you a bad person? Running keeps me balanced these days. I feel like I’m missing something if I haven’t been. I’m glad I found it again. Important questions! I’m glad running is keeping you balanced. I appreciate how it provides structure to the day and demands you think about things like sleeping well, eating well, and doing your best. Enjoy! Wonderful! Looking forward to reading more from Sabrina. Best article ever! I am also a CC coach. These thoughts are priceless!! Ah, that’s awesome! My CC coaches had a tremendous impact on my life. It’s awesome that you’re able to serve that role. Sabrina,I’ve followed you for years, (Since you were the Volunteer van driver at my first trail run in Jersey..My suffering all starts with you…lol) keep the great stuff coming..
Ha! That’s awesome. I love the NJ Trail Series. I’m glad you’re still engaged in the sport! And thank you! …though virtues are not necessarily eudaimonistic, and I am partial to Aristotle’s teleology. I have been an admirer of yours for years. To learn today that you were going to be a regular columnist for I Run Far absolutely made my day. I have written a couple of pieces that you may be interested in that certainly coincides with the spirit of this article to some degree. I was also pleased to hear that you have decided to complete your Ph.D. Good for you. I cannot wait until your next article. Thank you so much, Dr. Yergler! That means a lot. Haha yes – temperance in all things. I hope you take your recovery as seriously as your training and come back stronger! Happy trails. Thanks, Ali! And yes, though I hadn’t thought of that! Phronesis informs the actions of the virtuous. Yes! Moral virtue = a habit of the soul, concerning choice, that consists in the mean, such that the person of PHRONESIS would observe. Prudence!